Police investigate after Brisbane woman stabbed to death. 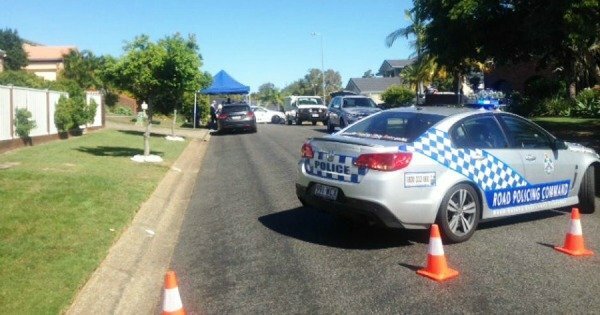 Woman killed in stabbing at Brisbane house. Police are investigating the death of a woman in a stabbing incident at a house in Brisbane’s north. The woman, aged in her 60s, was killed at a house in Remick Street at Stafford Heights, with the stabbing reported to police just before 9:30am. Acting Inspector Catherine Jones said the woman’s husband had phoned the police, but when officers arrived, the woman was found dead at the scene. She said the woman’s husband, also aged in his 60s, was in custody assisting detectives with the investigation. “It’s being treated as a homicide investigation,” she said. “At this stage we’re trying to contact the next of kin, her daughter, but we’ve been unable to — her daughter is overseas. “We are in the very early stages of our investigation and the cause of death will be established. Parts of Remick Street have been blocked off as authorities remain on scene.